When we shift our consciousness, from the brain into the heart, we enter the sacred chamber that houses the soul, what I call the Heartspace Portal. In this place where the higher self resides, we can tap into a power that is magically transformative. We are all equal co-creators, and when we are in true connection with the divine, we can start to control our own destiny, while contributing to a positive, loving transformation of the entire world. In the sacred heartspace, or Heartspace Portal, we step out of the personality self, and into our divine self. 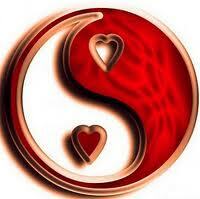 The key to happiness in this life is to merge these two selves. The second aspect of Quantum Love, is that it is our responsibility, once we are enlightened to this idea, to devote ourselves to being a conduit for this divine love and light, every minute of everyday. The HeartSpace Portal is the transcendent gateway to multidimensional supernal awareness, it’s the place where we bring divine love into the world so we can amplify this love within, to then give it without, by making a conscious effort to charge the collective, unified field of intention with divine love energy. We can all weave Quantum Love into the world via The Heartspace Portal. When we start to love one another by viewing them through eyes of Quantum Love, as an extension of the same source awareness, we can love them beyond our perception of their humanity. When we love them as being part of ourselves and the Godhead itself, we then realize they are the same, an expression of trans-dimensional consciousness, a similar reflection of the same divinity, a part of ourselves, another, connected atom in the field of being we call Creator. This Awareness of Oneness allows a reconnection with source consciousness, that which has formed and created this reality. From the Heartspace Portal, we can enter a peaceful meditative state described as love intelligence. It is a pure feeling state, which emanates from our sacred heartspace. In this state of love intelligence, we experience non-duality, grace and a blissful inner peace, as our consciousness and being unify with all creation, manifest and unmanifest. This is the goal of our existence. It’s all about vibration, the vibration of divine love, which can only blossom and grow in the presence of unity consciousness. In Hawaiian, these two words translate approximately to: the essence of unity, peacemaking, harmony and connection. Ehyeh Asher Ehyeh - I am that I am. Namaste - Another Sanskrit term, used in Tibet, India and worldwide has been said to mean: I bow to the divine in you, quite similar to Namaskaram. Mitakuye Oyasin - In the Lakota (Native American) has been said to mean: You are all my relations, my relatives, without whom I would not live. "I am not a mind in a body I am a body in a great big mind"
Once we detach from ego and let go of the I, we become conscious of the AM. The Egyptians described our spiritual being as having 2 parts. The Ba which is the mental or personal life force and the Ka which is the spirit, or essence of the oversoul. We cannot find blissful peace and contentment until we connect with the AM, the KA, or what we call the higher self. Although we have individuated consciousness, must realize our oneness with each other and with Creator, for everything is connected, we are all part of a larger super soul that unites all consciousness, all beings. "We spend 99.9 of our time trying to bring happiness to our self, the problem is, there isn't one. Ask the awakened." Awakening will be the death of ‘you’. Religion points us towards the attainment of fourth dimensional consciousness, the hallmark of which is unconditional love for all, including the self, in union with God. Spirituality, meditation and inner reflection lead us to fifth dimensional consciousness, where all possibilities exist at once, where there is no need to create or act. "5D" is a state of being which is unified with all that is, was or ever will be, in all dimensions, all realities, all we need to go is just shift our awareness to experience what we desire. The gift of fifth dimensional awareness is that heaven is here, right now. Since time began, human beings have developed and maintained the consistent belief that the human soul, the source of our consciousness, comes from and returns to a non-physical dimension of reality. Therefore, we believe that metaphysics, the study of what lies beyond the physical world is a subject worth all of our attention, mine and yours. What could be more important than figuring out the mystery of consciousness, the most intriguing non-physical phenomenon? Current science believes that thoughts arise only from the structure and matter of the brain. I believe not, and that a non-local, non-physical consciousness causates life force energy to animate the mind. Our thoughts have been described as quantum wave functions, or vectors in a linear space. But what causes them to manifest into being remains a mystery. This means our awareness could very well be emanating from the hidden dimensions, which have been described over the centuries as the spiritual realms. My view is that consciousness is the source of our reality. Beyond the atoms, it is the force behind the veil that separates the material from the ether. Therefore the underlying fabric which forms the universe is consciousness itself. If we take this view, a paradox emerges, that the physical reality we perceive could actually be an illusion of this omnipresent consciousness,as matter is itself is actually 99.9999 percent empty space. So, like the Swami said, "it is all one". Self realization is the path to God realization, and in the depths of meditation, once we release thoughts of self, our consciousness expands. We realize we are not just an observer, we are really one with the observed. From this new expanded awareness, we can then infuse the fabric of heaven, Quantum Love, back into the reality of our day to day lives. “From the viewpoint of absolute truth, what we feel and experience in our ordinary daily life is all delusion. Of all the various delusions, the sense of discrimination between oneself and others is the worst form, as it creates nothing but unpleasantness"
"A human being is a part of the whole called by us universe, a part limited in time and space. He experiences himself, his thoughts and feeling as something separated from the rest, a kind of optical delusion of his consciousness. This delusion is a kind of prison for us, restricting us to our personal desires and to affection for a few persons nearest to us. Our task must be to free ourselves from this prison by widening our circle of compassion to embrace all living creatures and the whole of nature in its beauty"
We live in a world of good and evil. And, others have their free will to act positively or negatively, with us or against us. This trying and complex environment was established for us to have the opportunity to learn the lessons of intention, attraction, responsibility and a remembrance of our interconnection and oneness. When another brings harm, in the end, all we can do to emancipate ourselves from the pain is to forgive. Moving forward, we learn that if we can fill ourselves with the vibration, of light, love, peace and oneness, we learn that we can begin to create, promote or allow positive circumstance into our lives. When we live in the energy of fear and separation, we beget the experiences of greed, fear, anger, competition and war. However, when we step fully into our sacred heartspace, and anchor the vibration of divine love and light into our heart, mind, body & soul, we then have the opportunity to create a utopian environment of generosity, compassion, unconditional love, oneness and peace. "You cannot earn liberation. I have not earned liberation. No one will ever earn liberation. You cannot become good enough or work hard enough or be sincere enough to deserve it. Liberation has not happened to me and it will not happen to you. Yet there is liberation. There is only ever liberation. Perfection is already here. What you are is already divine....In the Upanishads it is said “Advaita is not an idea. It is!" We need to recognize there are only two fundamental states of emotion, love and fear. Only when we abandon fear can we escape the cycle of action and reaction, with others, and within ourselves. And, once we find that peaceful place of contented connection to all that is, we then realize that our reality is created by our inner state, what we perceive as real is prmarily a projection of our inner landscape of emotion and thought. And, this detached awareness also brings the realization that there are really only two modes of operation for our personality, service to others, or service to self. When we can give for the sake of giving, give out to others what we crave for ourselves, we are then living our spirituality, for we no longer see any division with others, as we live for them, not just with them. When you are confronted by the anger or fear of another, do your best not to react if possible. Discern their energy and intent with the inner voice, and do your best to meet the situation calmly, with as little interaction as possible. Then, send them divine love from your Heartspace Portal, and visualize them as having worked through their anger, visualize them in your mind as being healed and happy. This is sometimes very difficult, especially with friends and family, or those who have a close association. What you are doing for them, is "holding a space" in the unified field of consciousness. You are showing their soul, or higher self another option, and with your selfless infusion of divine love, often times they can "vibrate" into a new potential positive reality, with you. Taking this concept further, in terms of the ancient Hawaiian practice of Ho'Oponopono, what you are doing is "healing the part of YOU that IS them". Forgive them, then visualize a new possibility for you both to step into, create it, be it. Recent research shows that the heart receives signals milliseconds before the brain does, that the heart contains a sophisticated neural cluster, and that it emits 80 times or more electromagnetic energy than the brain. This implies that we can broadcast positive energy, thoughts and love into the field of intention, and that feelings are more powerful than thought at creating reality by positively influencing people, places and events in our world. The Heartspace Portal is where the mind and soul meet. Science has revealed that the heart has 10 times the electric power of the brain, 100 times the electromagnetic power and 500 times the magnetic power. "Be aware that you are charging the field with your heart based emotions". A conscious connection to the Heartspace Portal is the key to vibrational manifestation. This is necessary to help us let go of the ego mind and personality self. Things we manifest from ego can bring a corresponding karma if achieved at the expense of others. But things we manifest with divine love, from the sacred heartspace within, are already in line with the highest good of not just the self but are also in consideration of others. When we embrace Unity consciousness, we achieve liberation, enlightenment and the joy of realizing that we have found the meaning of life itself. To feel the divine presence in our hearts, and share it with each other. "We as individual beings, human spirits existing in bodies, have a unique creative capacity, on this plane of existence, and what makes us creative, and very powerful, is really the the tone of our hearts. Not what we do, not what we owned, not what we know, but really the tone of our hearts, permeates the stuff of all physical existence". The Heartspace Portal ebook is the result of a life time of spiritual study and practice. It draws on science, spiritual principles and mystical teachings, both ancient and modern. The book arrives at what all spiritual seekers yearn for, realistic answers as to why we are alive, what life is all about, our reason for being, as well as how to find happiness and inner peace. Practical spiritual answers to deep metaphysical questions. 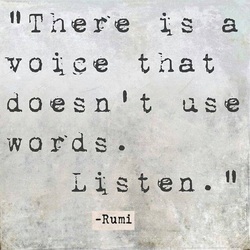 This mantra is referenced in the book, The Heartspace Portal. If you are looking for a mantra that will heal you, and the world, together, this is it. The Om Prema is divine love, which we all can bring into the world, for universal healing. Just meditate, pray, then chant it aloud or to yourself, 108 times minimum. Or for more peace, love, bliss and healing, chant several "rounds of 108". As often as possible! 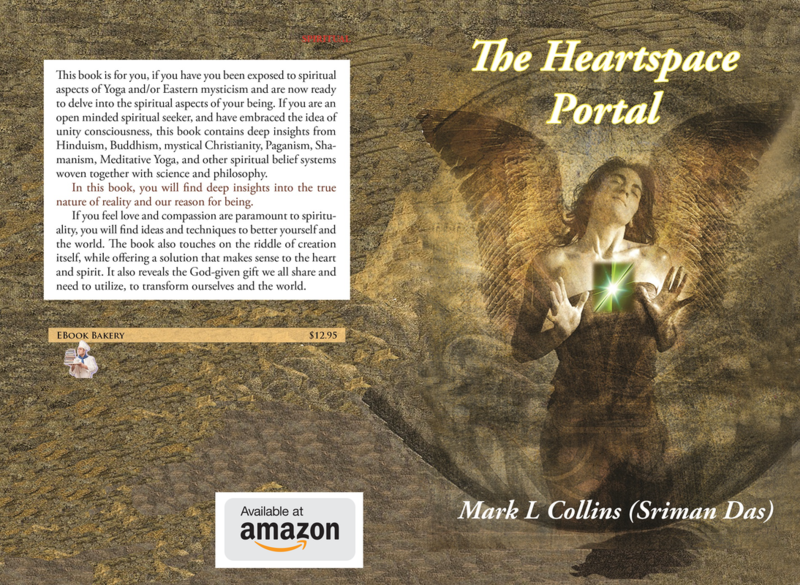 The Heartspace Portal book is now available on Amazon.com.